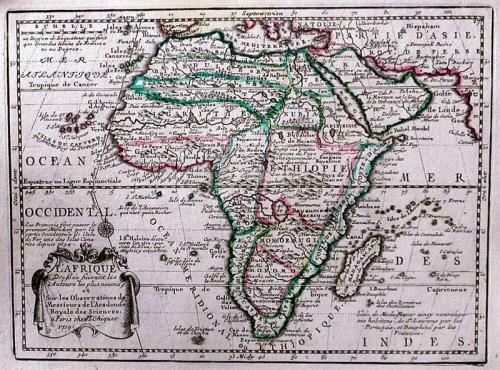 A charming map of the continent with some interesting cartography and filled with notations. The Nile is correctly shown with its origins in Abyssinia. A Lac de Zaire appears just below the Equator as the source of the Zaire River. Unusually, included with the map is an additional explanatory sheet of the engraving.